It’s The Grand National! Again! Ah yes, it seems a long time since I’ve posted about my favourite horse race of the year. I know I didn’t mention it last year, as I was in Manchester last year, and I couldn’t be bothered installing anything on my phone, or fiddling about, trying to remember my login details. I have placed my bets, but for fear of fate biting me in the arse like it seems to do every year, I’ll not post on here. 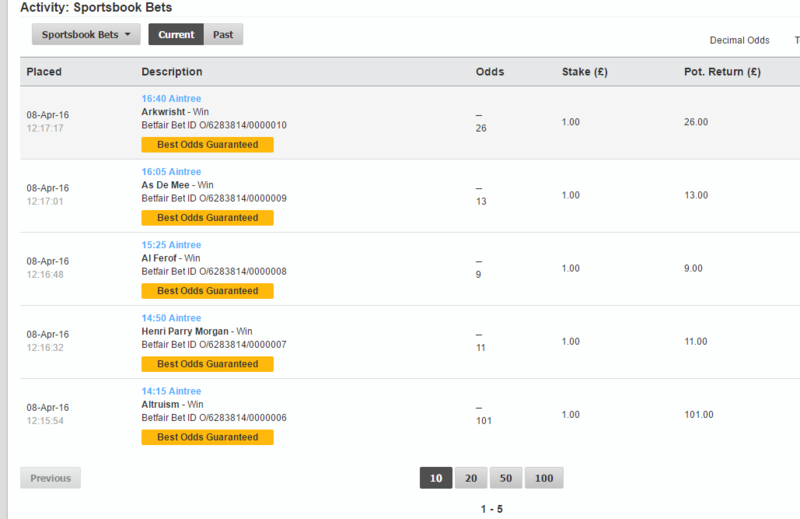 Let’s see if I make my tenner back, eh? Posted on April 14, 2018 Categories SportTags aintree, grand national, horse, liverpool, race, steeplechase2 Comments on It’s The Grand National! Again! It’s that time of year, now that spr…. hang on, haven’t I said that before? But yes, it IS springtime, and it IS the Aintree festival. 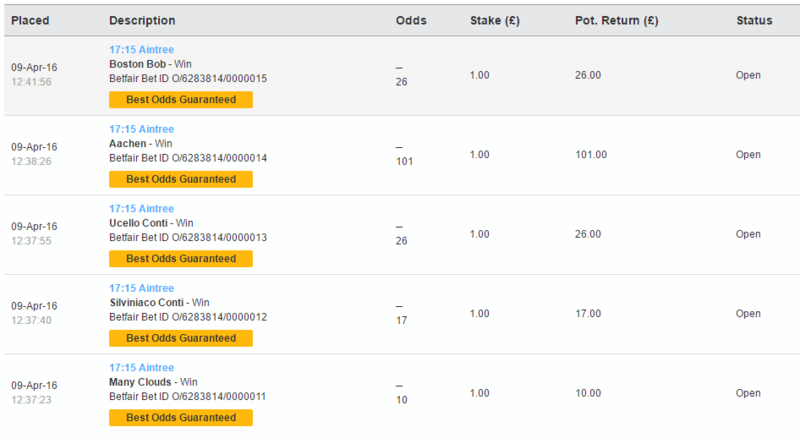 The time of year where I take a week off work, and the only time of the year where I line the bookmaker’s pockets. I’ve just realised that I’ve put a tenner in my bookies’ account, instead of the minimum deposit (a fiver), so I have a little more cash in there than what I was expecting. Now, I could put it all on the big race tomorrow, but where would the fun be in that? Let’s put a Â£1 bet on the five live races on Channel 4 today. But, I officially know nothing about racing. There have been times where I’ve won sweepstakes, but that’s luck of the draw. How else would I pick the horses? Randomly? No, I have a system. Long-time troll, Chad, used to live on our street, until almost two decades ago when he moved to Japan to take up teaching, drinking foreign beer, eating tomatoes, and presumably a secret career in professional karaoke. For some reason, his old telephone number is embedded in my brain, despite the fact I don’t think I ever rang him. After all, he was only five doors away. Well, I’d have only spent that fiver on crap records and beer anyway. UPDATE: Well, the Topham Chase is next, which is the one over the big fences. So far, I’ve had a faller and 2 2nd places. It’s not looking good. I’m, once again, going to dedicate this post to streetlighting and yet another musical purchase I’ve made, but hell, when I’m finished with that, and if I can be bothered, I’ll extend it to include some normal life stuff. Trip to York, 24th July 2010. Stunningly warm day! A GEC Z5590 has picked up a little bit of a mowhawk! This would have been mercury originally, but like all of the ones around it, now running a dayburning SON lamp. It was a fine example, drilled for a photocell, and everything. 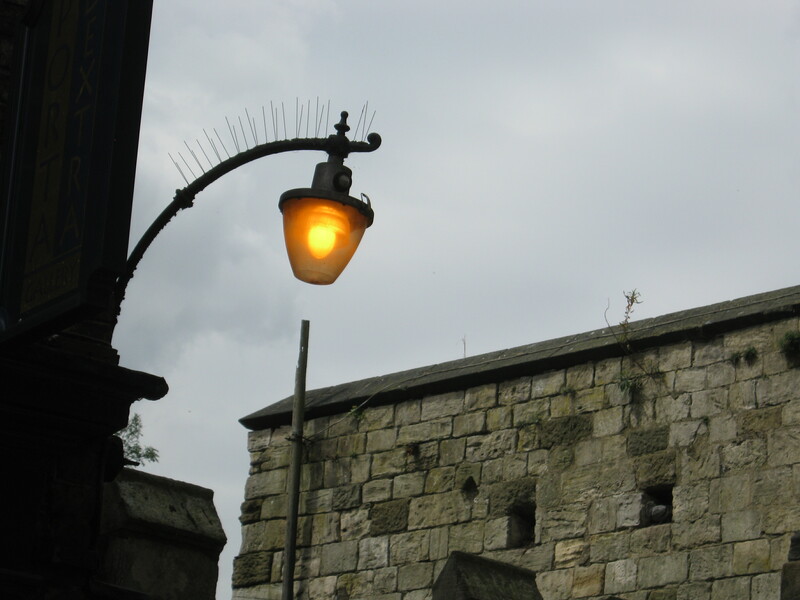 Ironically, it’s been replaced with a dayburning heritage lantern, with LED arrays as its light output. Shame. I’m actually posting that news as an experiment to see who actually reads this page. I wonder how many people from work actually know I have a streetlight interest? I’ll hazard a guess at not many of them. So, er, anyway. Onto the music. I’ve been a fan of Jan Hammer for many years, since I first heard “Crockett’s Theme”. I didn’t know anything about it at the time, and certainly didn’t know it was from Jan Hammer.Anyway, yesterday, I picked up one of his CDs. A CD I probably paid over the odds for, but I’d say it’s worth it, seeing as I’ve been after one of the tracks since I was 11 years old, and that track is “Payback”, the last track on the CD. I’ve never saw a copy of it on CD before, nor have I ever held one in my hand, and never actually owned it! My love affair for that particular song started in 1991. I had, as I’ve done every year, recorded the grand national, but this year recorded some of the buildup too. The BBC used this particular track to show highlights of the previous two days racing. I’d recorded it, and instantly loved it. Obviously, back then, there was no way of being able to quickly identify a piece of music., and so it sat, rotting (literally) on the tape for years, eventually getting forgotten about. One night, while flicking through the satellite channels, Miami Vice was starting, and would you believe it? The tune just happened to be featured in it. Naturally, armed with this information, I was able to narrow down my search somewhat, and eventually came across an MP3 of it. Seems to be a regular story. I hear a song, ignore it for years, hear it in a place I wasn’t expecting, eventually track down on MP3, followed by a CD copy the song. That, I thought, was the end of it. I had some time to kill while some files copied. I thought I’d listen to the entire CD. that is genuinely a rare occurrence. I normally buy a CD, listen to one track and ignore the rest. This one was Jan Hammer, so I knew, somewhere, there’d be a hidden pot of gold. And I wasn’t wrong. I seem to have one of those things where my long-term memory is extremely strong. whether it’s a gift, or a curse, I haven’t decided, as it always seems I’m living in the past, but this CD played, and track 8 sparked my attention. It was a track called “The Runner”. Braincells flew into rewind mode. I knew it from an advert, going back as far as the 80s. It instantly reminded me of warm summer evenings, but I had a feeling I’d be the only one who recalled said advert. Off I go to Youtube, and typed in its name. Good lord. A buried memory from more than three quarters of my life ago, resolved in about two minutes. That was four pounds well spent. And now, a slew of youtube videos, that will undoubtedly die over time, and I won’t be bothered to fix them, but hey, they work now at the time of typing! And here’s advert 1, featuring the music. Posted on August 4, 2013 February 20, 2016 Categories Reminiscing, Streetlighting, Telly themesTags CD, gec, grand national, jan hammer, Music, purchase, streetlight, york5 Comments on Four pound? Profound!